!! Notice – Important !! 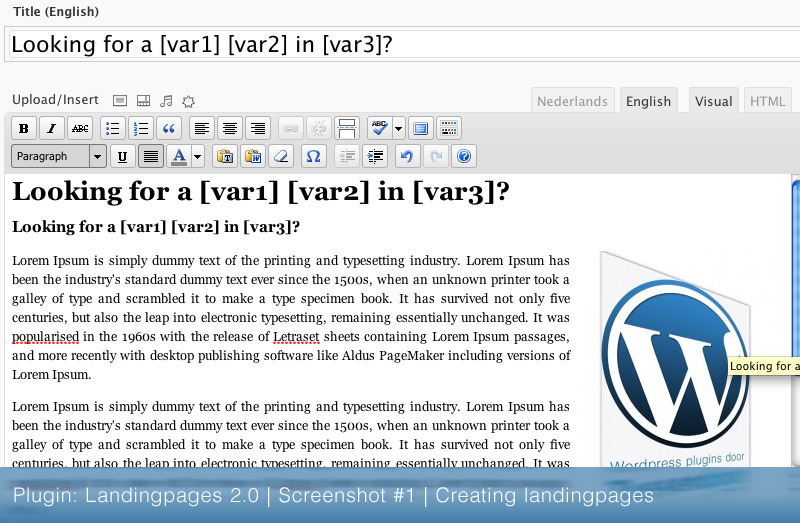 With the WordPress plugin ‘Landing Pages’ you can add multiple pages to your WordPress website, completely automatic. 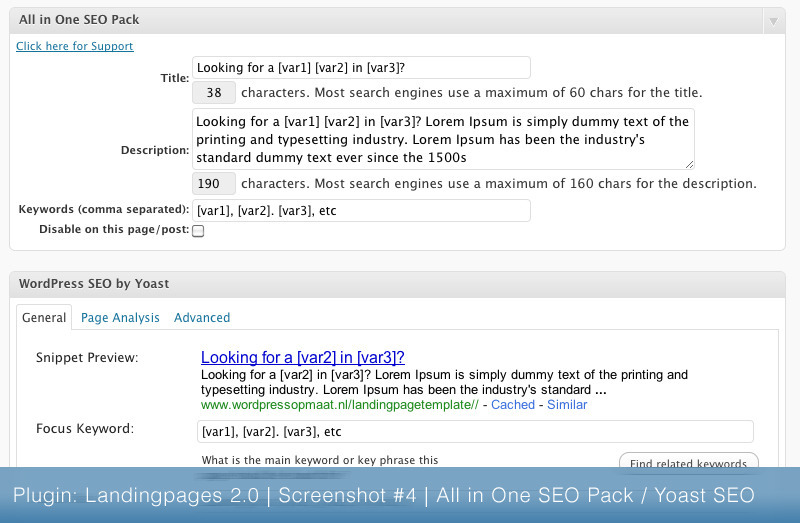 The plugin uses [keywords] which lets you create a variety of pages on a very easy way. Because of the build-in interval function you can set the landing pages ready to go online and let the plugin post the page every hour, day, week or month. This way you won’t get any problems like “black-seo”. Creating landing pages has never been this easy. With this plugin you will save a lot of time. No more copy/pasting the content and manually creating landing pages. 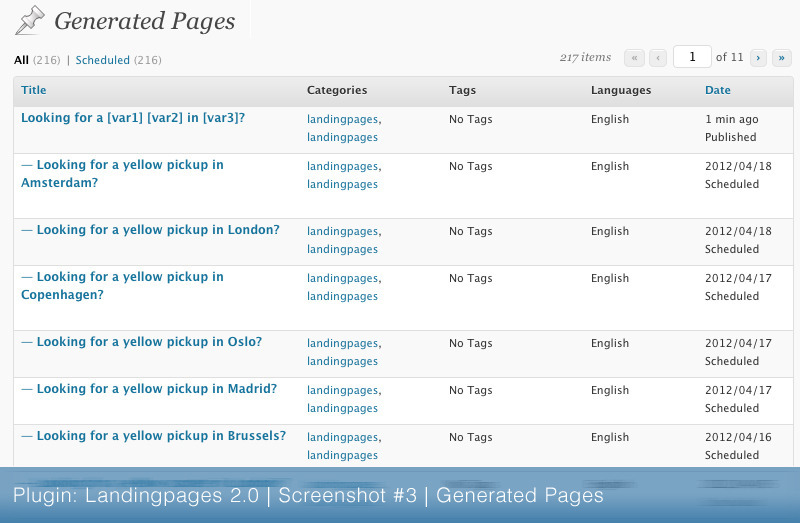 You simply enter multiple concepts in the interval and the plugin will publish the pages automatically. You can create multiple types of landing pages and let them be published simultaneously. Search engine optimization is really easy with this ‘tool’. 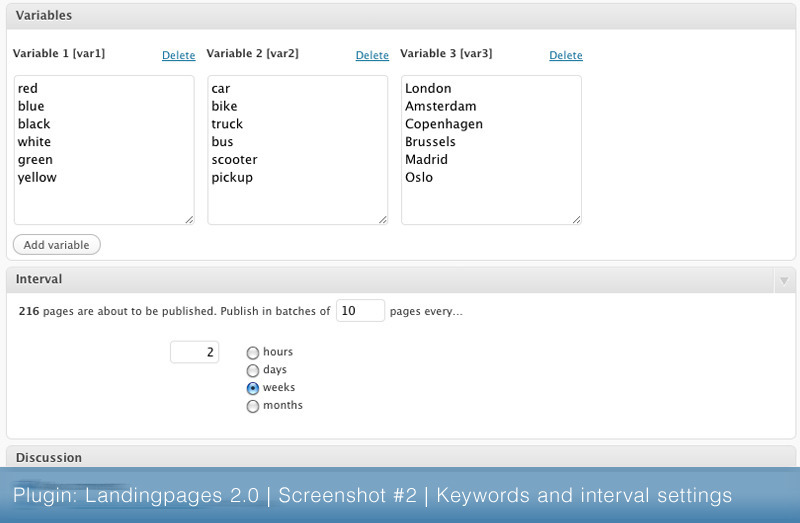 On screenshot 1 you can see an example of how you can use the variables within the pages. *Fix: Changed manner of handling with WP Classes. In the future this will cause less problems with WP updates. *Upd: Major performance boost in WP-admin, changed handeling of WP classes. *Add: Compatible with plugin All-in-One SEO Pack. *Fix: Error when [var] is used in the title.